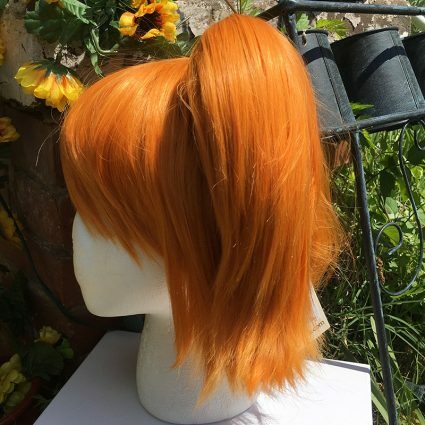 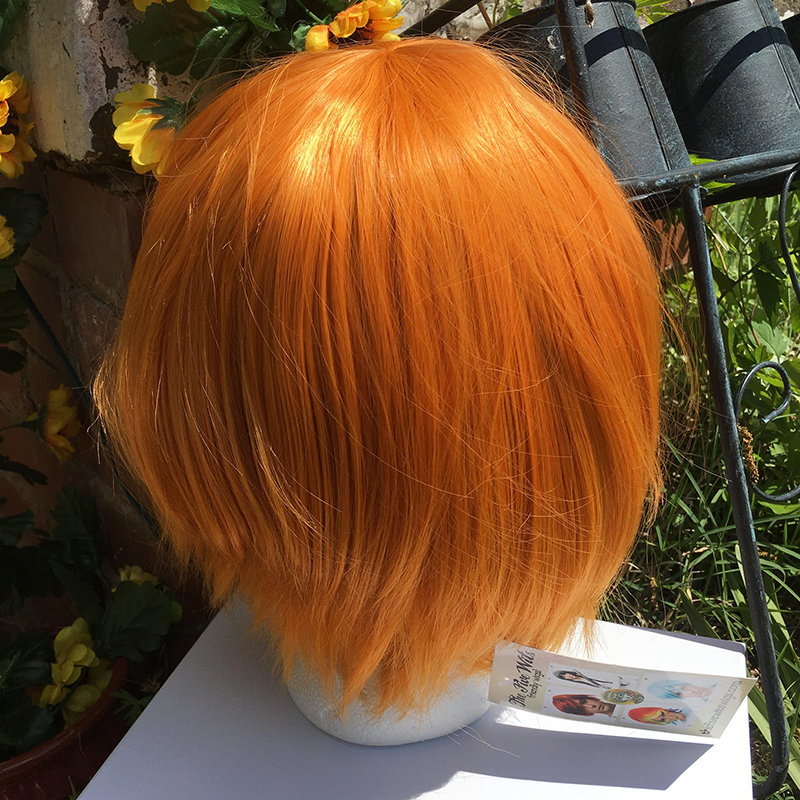 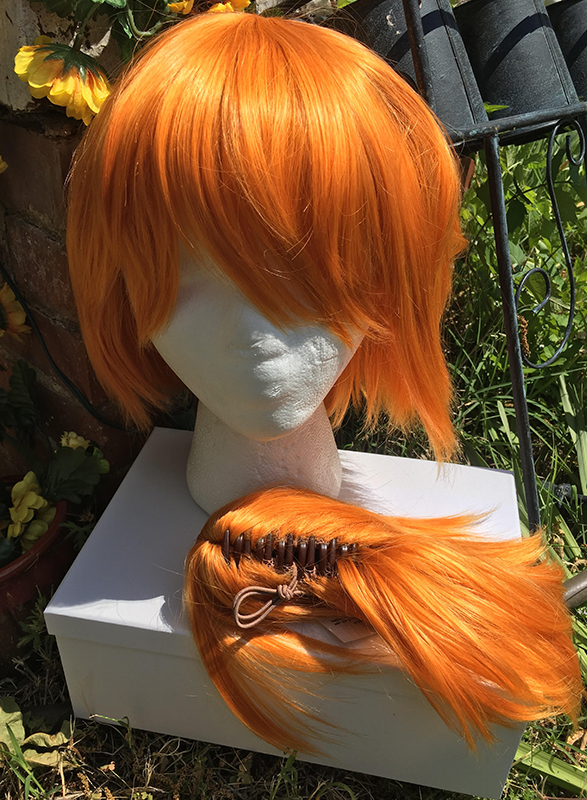 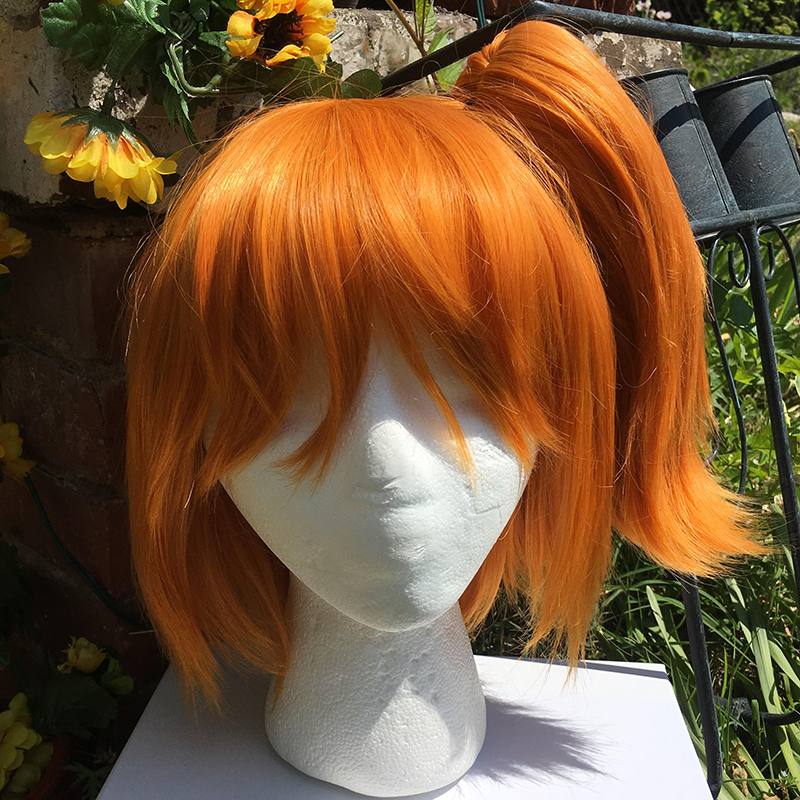 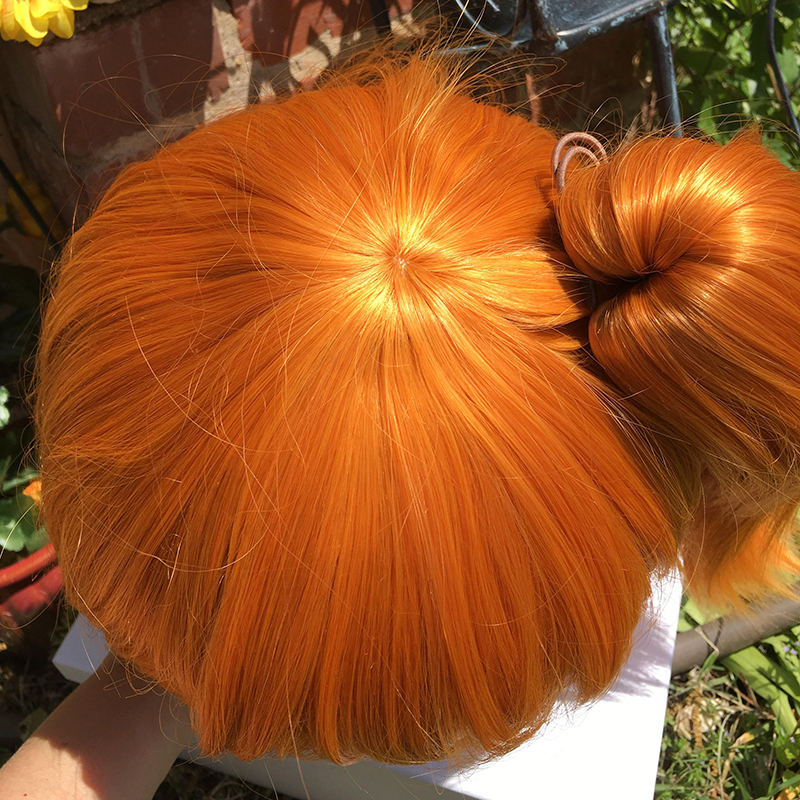 This carrot orange wig is great for concerts, beach episodes, Pokémon hunting, and a bright summer! 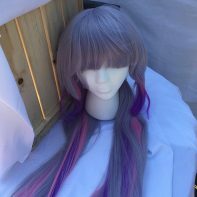 It comes with a perky clip on side ponytail cause it’s so extra. We’ve had it at shows, now it’s time for its debut on the website! 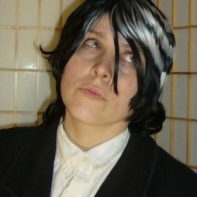 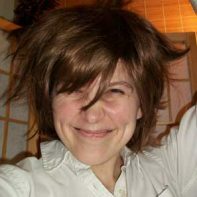 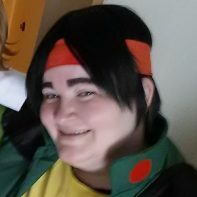 Heat stylable, easily washable, and ready for an endless string of photo shoots and convention hall shenanigans, this wig will power on through!